It’s a cliché, I know, but October is something special. Over the last weeks, I’ve been enjoying the first frosty mornings, the smell of the seasons turning, and the gorgeous colours outdoors. 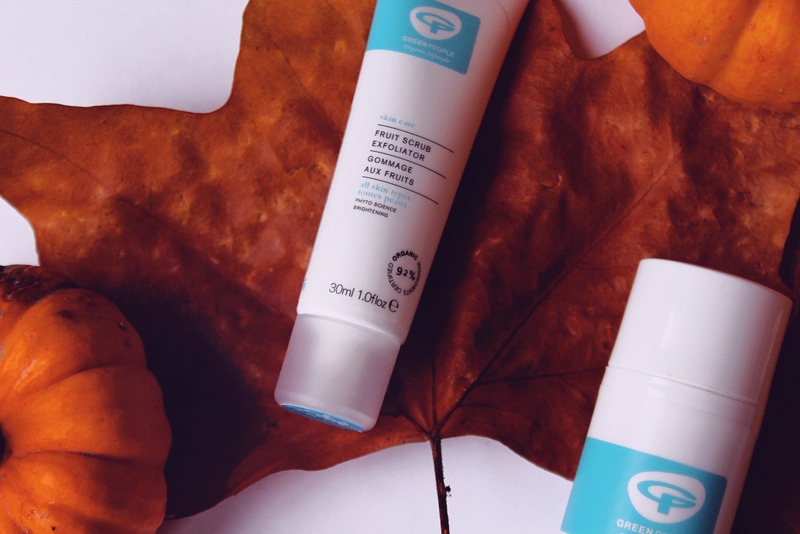 Autumn is always the point for so much change for many of us – new school year, new routines, new projects at work, new fashion choices… and for me, it always means a change in my skincare routine as well. In the Summer, I can usually get away with less of a strict routine. As long as I’m cleansing regularly, using a light moisturiser, remembering my suncream and exfoliating every so often, I’m good to go. As it gets colder, though, I start to struggle more. My skin is quite sensitive, so spending time in cold air always affects it. At the same time, the dry, heated air indoors is almost worse – it’s like I just can’t get the balance quite right! For that very reason, I was thrilled when Green People got in touch and asked if I wanted to test out some of their products. They sent me their Daily Essentials Starter Pack, as well as their Hydrating Firming Serum. 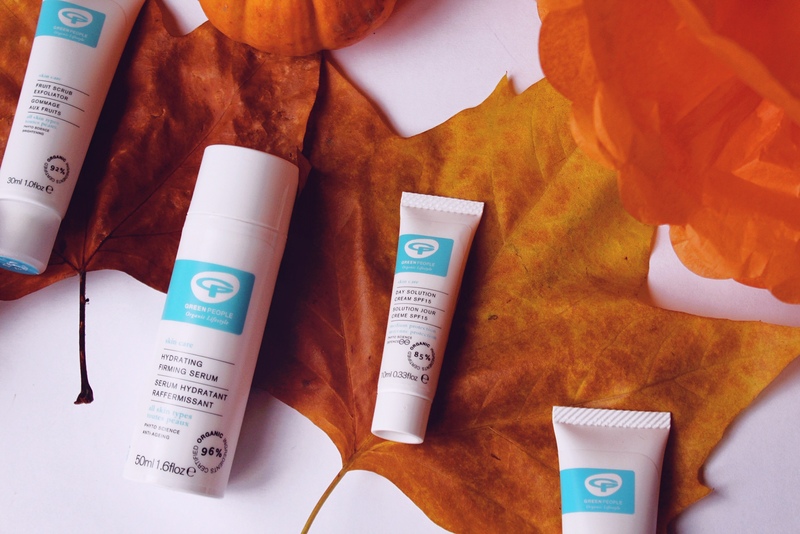 The pack contains a make-up removing cleanser, a gentle exfoliator and a small sample of SPF 15 day cream. 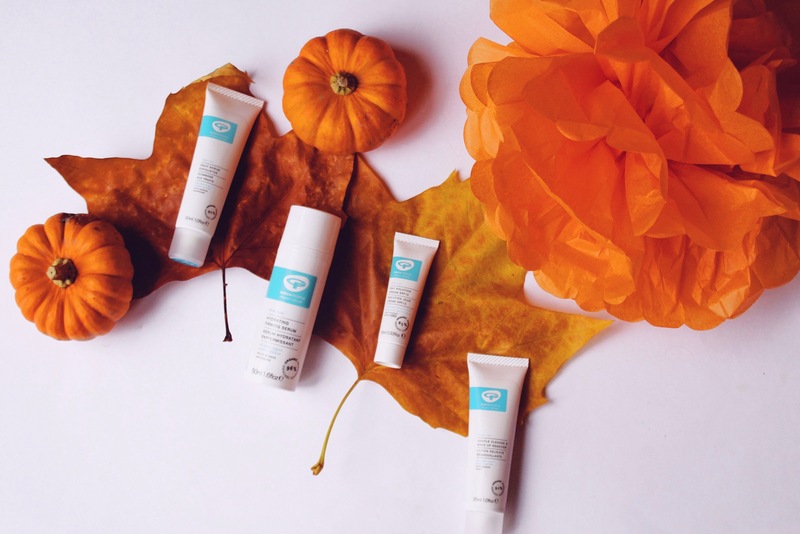 Together with the serum, I’ve been testing these out over the last week or two, and am excited to share my thoughts with you today! After using the products for just under two weeks, I’m really quite chuffed with them. In the morning, I cleanse with the exfoliator – it’s gentle enough for me to do this daily, and I always feel like my skin is brighter for it. I follow it with the day cream, and then apply my make up. It’s a straight-forward routine, but it works – I have no problems with tight or irritated skin during the day, no matter what the air temperature is. In the evenings, I use the cleanser to wash my face and remove my make up (this works perfectly! ), and then apply the serum. Depending on whether I feel like my skin needs some extra help, I’ll layer it with a facial oil, or just use it on its own. I’ve noticed that my skin seems more ‘rested’ in the mornings, looking smoother and with blemishes less visible. Green People do use plastic as their main form of packaging, which is my only real point of criticism. They do have some information up on their website on why they do this, which provides a useful starting point for discussion. Most importantly, all their packaging is 100% recyclable. I’m also always pleased to see that orders arrive with plastic-free shipping materials – so while the actual product packaging is plastic, no additional single-use plastic is used to merely transport them from the warehouse to your door. 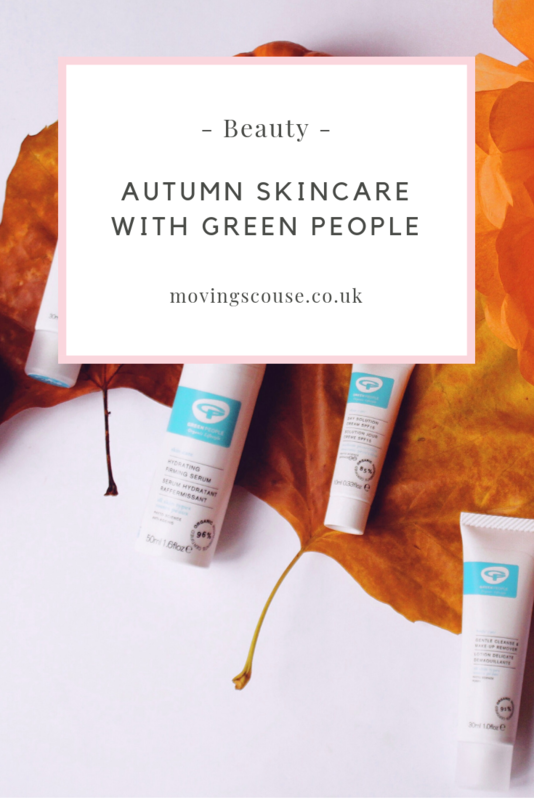 I’ve blogged about Green People before, and I continue to be impressed with both their products and their brand values. Yes, they make organic beauty products – what’s not to like – but their philosophy goes much deeper. Over the last seven years, they’ve raised over £70,000 for marine conservation, and their main production site is wind-powered. 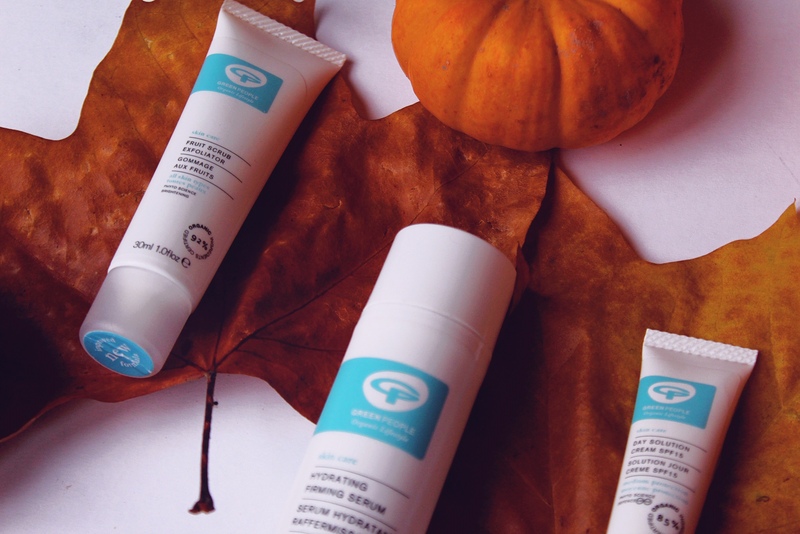 They are certified cruelty-free, and approved by PETA and both the Vegan and Vegetarian Societies. 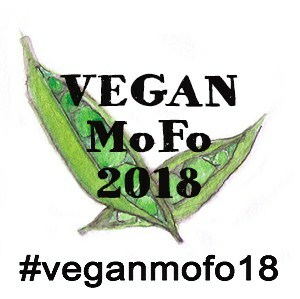 It’s encouraging to see brands that make an effort to live and breathe their ethos, rather than superficially jumping on the bandwagon of an increased public interest in vegan and eco-friendly products, and I’ll be a Green People customer for many years to come!